WHEN YOU LOG IN -- you will have access to update YOUR information in the database. AND, want to connect with another alum? Visit the alumni directory to find them. Logging in for the first time? Click on the log in above, using the email we have stored in our database for you. Then select 'forgot password; and follow the instructions. 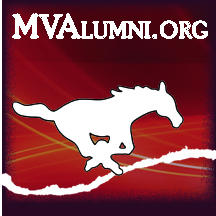 If we do NOT have an email in our database for you, please send a note to alumni@mountvernon.k12.ia.us with your email address. We will update the database and you can then log in. RENEW OR JOIN -- LOG IN to support the Mount Vernon Alumni Association with your annual support (dues). Then select your name (profile). Here you can select your level of support to the Association. Your financial support goes toward on-going development of this Alumni Website and Data Base, the Alumni News, Alumni Hall of Fame Awards, and our alumni events. Joining for the first time? If you have NEVER been in our alumni data base (you don't get the newsletter or emails from us), and would like to be, send us a note at alumni@mountvernon.k12.ia.us. DONATIONS -- If you would like to make a donation to help support the Association, please CLICK HERE to make a donation.